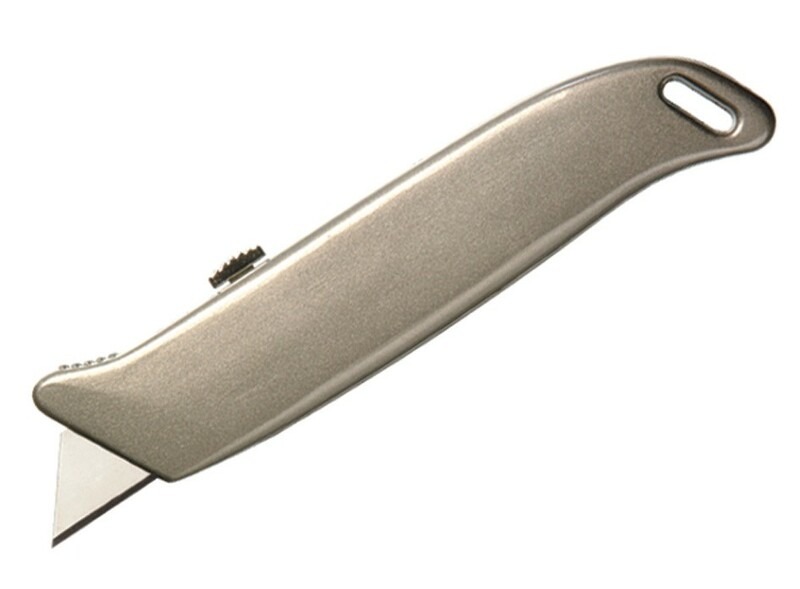 The Pacplus metal retractable knife is great for cutting through strapping and packaging. Specifically designed to be heavy duty the knife can withstand the everyday wear and tear of industrial environments. A retractable blade ensures that the blade can be safely hidden when not in use to prevent any accidents from occurring. An eyelet at the top of the knife ensures that a lanyard can be attached so that you can keep the knife on you at all times. Made to the highest of standards for a professional and reliable finish.